The Guardian discusses why the Baileys prize, the women’s prize for fiction writing, is still needed after 20 years. Research found that “women were responsible for buying two thirds of books sold in the U.S. and U.K.,” however reviews often cover more books written by men. Chimamanda Ngozi Adichie’s Half of a Yellow Sun won the “Best of the Best” award in a celebration marking the 20th anniversary of the Baileys women’s prize. 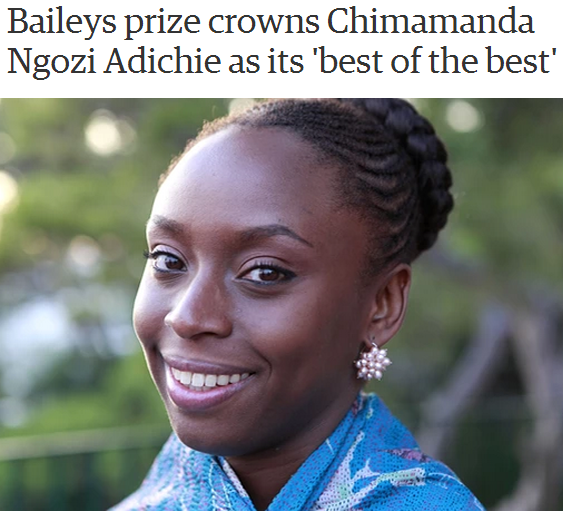 The chairs and judges from previous years picked Adichie’s book as the best fiction work in a decade. Russian philanthropist and art collector Dasha Zhukova gives one million dollars to the Massachusetts Institute of Technology (MIT) for a new visiting artist program. Cynthia Daignault traveled around the U.S. for six months, documenting the landscape every 25 miles. 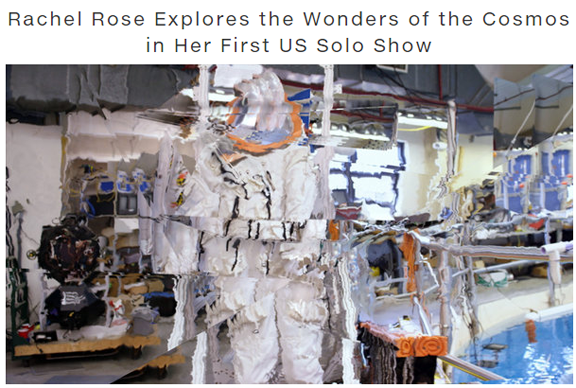 Her resulting work, Light Atlas, contains 360 paintings from her journey. 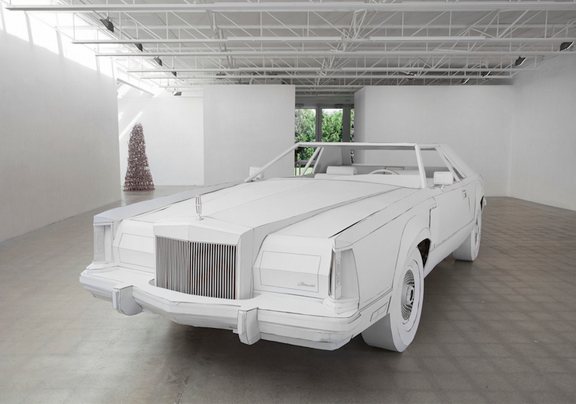 Shannon Goff re-creates her grandfather’s 1979 Lincoln Continental Mark V—out of cardboard. Australian artist and Holocaust survivor Judy Cassab died at the age of 95. Cassab was the first woman to win the Archibald portrait prize twice. ArtInfo interviews French jewelry designer Victoire de Castellane after she won the Visionaries! Award by the Museum of Arts and Design (MAD). Lost interviews with arts philanthropist Peggy Guggenheim are brought to light in a new biographical film. Vulture shares their list of 100 women directors Hollywood should be hiring. A new documentary focuses on the life of Australian Black Panther, artist, and activist Marlene Cummins. Conductor and pianist Alondra de la Parra is the first female chief conductor and musical director of one of Australia’s three largest orchestras. Mary Testa plays Barbara Bush in the chamber musical First Daughter Suite.